LOS ANGELES, CA, July 13, 2017 - Solver, Inc., the global leader in Cloud and web-based Corporate Performance Management (CPM) for mid-market ERP systems, was recently recognized as one of the Best Places to Work in Los Angeles. This tenth annual program was created by the Los Angeles Business Journal and Best Companies Group. "This recognition is special to us because we know that a large part of our success has to do with the people that make up the Solver family," said Corey Barak, COO at Solver. "We are proud to not only work as a team to innovate and provide the best experience for our customers and partners, but also to build a place that we all truly enjoy coming to work every day." This survey and awards program was designed to identify, recognize and honor the best employers in Los Angeles, benefiting the county's economy, workforce and businesses. Each year, the list is made up of the 100 top companies to be recognized. Solver, Inc. has been named one of this year’s Best Places to Work in Los Angeles. Have a facility in Los Angeles. Have at least 15 employees in Los Angeles. The actual rankings will be revealed at a special event on August 11, 2017, then published in the August 21, 2017 issue of the Los Angeles Business Journal. 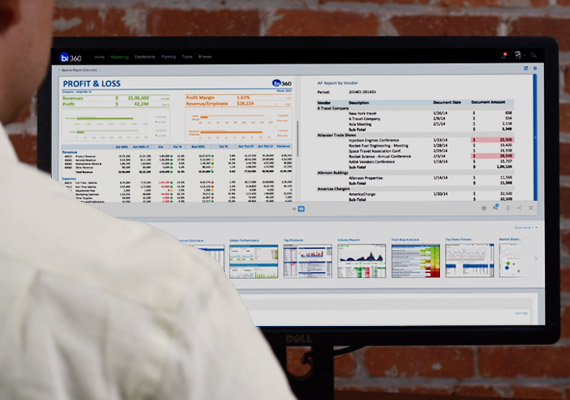 Solver provides BI360, the leading cloud and on premise Corporate Performance Management and Business Intelligence suite for Microsoft Dynamics, Sage, SAP, Intacct, Acumatica, NetSuite and other ERP systems. Solver is a Microsoft Gold ISV Partner and the winner of the Microsoft BI Partner of Year Award and has a presence on the Gartner Group CPM Magic Quadrant. BI360 is sold through a worldwide network of partners and is ideal for companies looking to find a user-friendly, yet highly functional Strategy, Forecasting, Budgeting, Reporting, Dashboard, and Data Warehouse solution to give them deep insight and actionable information across all facets of their organization. For any questions, visit Solver's website or contact Solver at info@solverglobal.com.